When you’re looking a home to buy, it’s important to make sure you find a home inspector who will deliver the most accurate and valuable information regarding your home. Coastal Home Inspectors helps you to make an informed decision by inspects the home’s interior and exterior components. If you think you have found a dream home, it's a home inspector’s responsibility to let you know that your dream home may not be just right. If you're buying a home, getting a home inspection is probably one of the single most important checks you need to conduct to make sure the home is safe and secure. A home is the largest investment most people will ever make. Having a professional home inspector may also reveal serious problems with a property you intend on buying. A professional home inspector provides complete information regarding the condition of the property you're considering and will help avoid any unpleasant surprises after the sale. In addition, a home inspector will remain totally objective, while you as a prospective purchaser is also emotionally involved. For the buyer, the purchase of a home is usually your largest investment. Home Inspectors Sanibel FL at Coastal Home Inspectors provides you complete and accurate report of the home on the day of the inspection. The inspection report will provide you with a wealth of knowledge on the systems in the home. The inspection report also will alert you to important safety improvements or upgrades that may be required or expensive repairs which will be required now or in the near future. The inspection and report can allow you to make an informed buying decision. There is no pass or fail during a home inspection. Home inspectors inspect all the major systems and parts during a home. The inspection and report is not an appraisal of market value, although it will certainly influence your opinion of the home value. There is no perfect home. Virtually all homes can have some minor issues, and an inspection report on an older home sometimes includes some safety upgrade recommendations. If the inspection and report reveal major or expensive issues, you now have this information to make an informed buying decision. A buyer may ask a seller to correct major issues. The home inspector can check for many defects on the outside of the home. 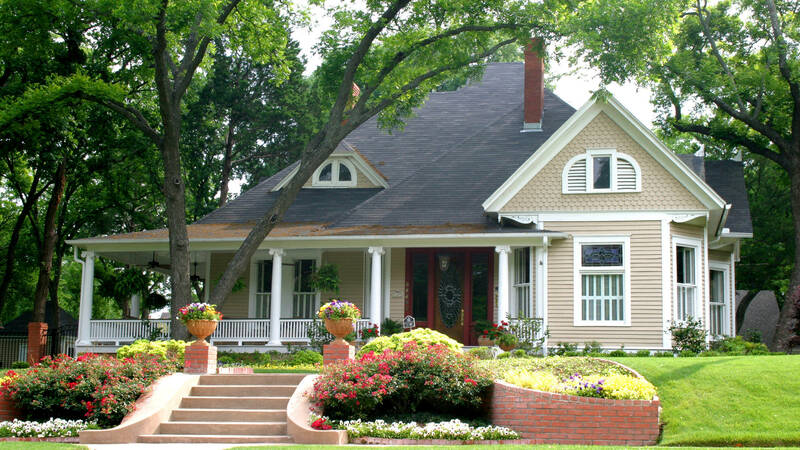 He can look for structural issues and check the roof for leaks or other defects. He may walk on the roof if possible.